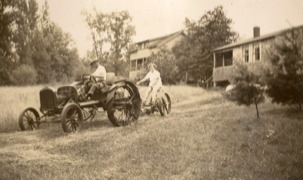 Photo taken in 1936 shows original owner, Harold Rayford Fry Senior, with his daughter cutting the grass in front of the first two cottages before becoming a resort. As you can see there is no driveway or grassy banks or other buildings. The single story building is now cottage #6 and the 2 story in the distance is cottage #5. 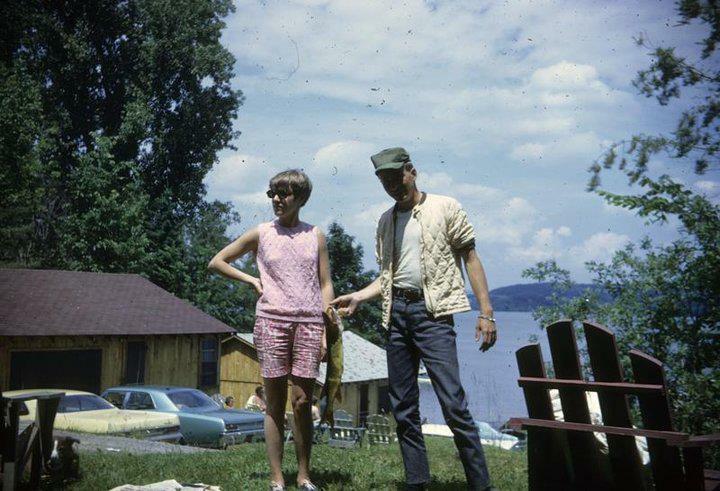 Aalsmeer Motel and Cottages is one of the last family owned and operated motels on Otsego Lake. It is currently owned and operated by third generation owner Peter Fry. Interestingly, the property started as an open hay field when purchased in 1925 by Harold Rayford Fry Sr., born in England. It was known as Ramona Beach and later changed to Windward but was not initially intended as a resort. 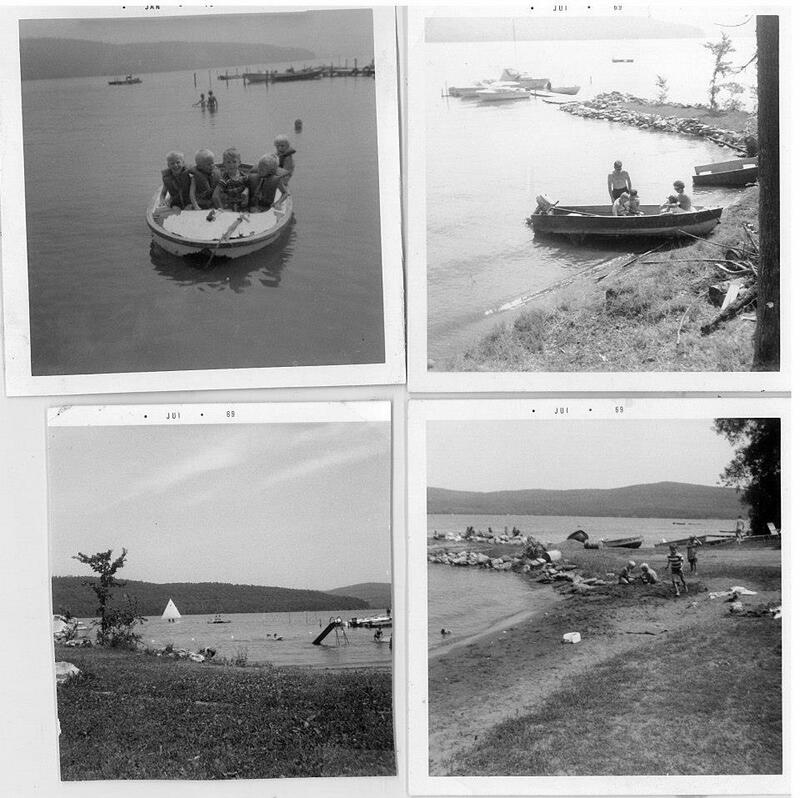 The first of the 10 cottages (presently #6) was built as a camp for friends to stay when they came to visit and was built out of parts from the old Fenimore Hotel. When Harold Rayford Fry, Jr. took over there were two cottages and over the next nine years he proceeded to build eight more. In 1952 the Frys moved permanently to the property and during much of 1968 and 69 , Ray built an eight-unit summer motel. Four units were opened August 15, 1969 with the other four the following Spring. The resort was known as Windward until 1985 when it was renamed Aalsmeer. Growing up within the family business, Peter Fry now runs Aalsmeer. The most unique and special aspect of Aalsmeer Motel and Cottages is that it has families coming back generation after generation. It has become a family tradition for many who have made many lasting friendships over the years. Even the two main housekeeping ladies have been here for over 25 years and it was relatives of theirs prior to them coming on board. They truely make motel visitors feel right at home. Aalsmeer stays true to its roots by maintaining a simple, comfortable vacation bringing many back to their childhoods and creating new memories for young ones. Of course over the years certain modern amenities have been added for necessity and comfort but you can't help but leave here feeling like you were miles and miles away from the fast paced world of day to day life. Part of our Aalsmeer Family back in 1968. Notice the cars and that the cottages weren't painted. And YES they still come every summer. Photos from 1969 of Peter Fry, current owner, as a child with his cousins.